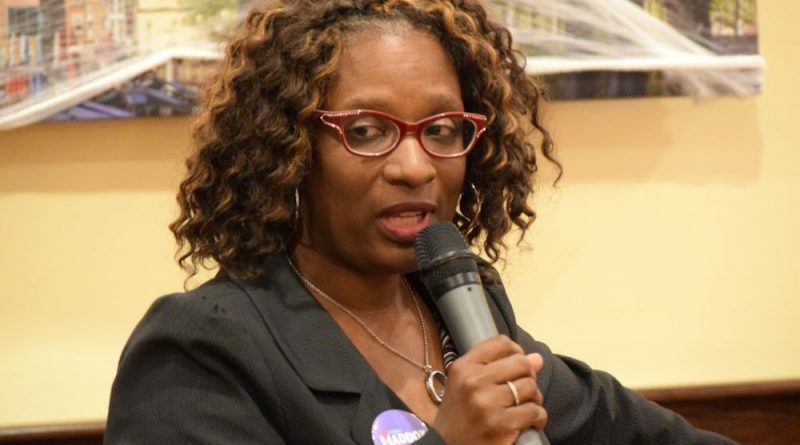 Six months after her election to the Leesburg Town Council, Vanessa Maddox is back in campaign mode. Maddox was elected to the council in November to fill the remainder of Kelly Burk’s council term upon her election as mayor in 2016. That term expires at the end of this year, so it will be Maddox’s first time gunning for a full our-year term. She admits it’s a bit overwhelming to shift back into campaigning so soon after taking office. Maddox said she plans to “be more visible” this campaign and go to where residents are to learn the issues that are important to them. Her priorities haven’t changed from a year ago, but she noted she’s still in the process of learning about town issues that predate her time on the council. One of the things that has pleased her most since taking office is seeing the level of public engagement. She points to the recent standing-room-only public hearing over the proposed Meadowbrook commercial development as an example. “I was just delighted, smiling from ear to ear, to see all those people that showed up. That’s what I would like to see for every issue that comes before the council,” Maddox said. Like the Meadowbrook project, she predicts that development is going to be the biggest issue before the council in the coming years. “Development, rapid growth and rapid change—those are the things people are going to be talking about. Also, the overcrowding of schools. Even though we don’t have purview into that that’s what’s on people’s minds,” Maddox said, noting that development decisions by the council have an impact on area schools. Maddox is planning a formal campaign kick-off, although no date has yet been set. For more information on Maddox’s campaign, visit vanessa4towncouncil.com or facebook.com/Vanessa4Leesburg. “Six months [in office] is not long enough to even digest what is going on in the town…” … maybe you should have been paying attention and actively engaging your community prior to being elected? Just a thought. She has a fresh set of eyes because they are closed due to sleeping at meeting. It will be rich to hear her in a few real debates. Democrats truly have no idea why they elect people. Wakeup. Party politics does nothing for you at the local level except maybe taxes and spending. And this Democrat ticket loves to tax and spend.